Just a week after New York became the first state to sign a bill that restricts gun sales, gun violence in schools and colleges is still making headlines. 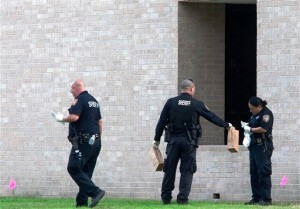 Police officials say that three people were wounded when an unidentified man opened fire during an argument on the campus of Lone Star College in Houston, Texas Tuesday. Authorities said they had apprehended two people for questioning. One of the wounded was in critical condition. On 15 January, three people were killed and two wounded in two different incidents on college campuses in Missouri and Kentucky. Five days earlier, a high school student firing a shotgun wounded a classmate in California. Gun violence has come into focus since the Newtown, Connecticut shooting on 14December, which left 20 children and six adults dead. In the aftermath and amid public anger, US President Barack Obama formed a gun violence task force chaired by Vice-President Joe Biden. Biden met with a number of gun industry officials since the shooting and made a number of recommendations to the president. But most political pundits believe that gun control will become a significant part of Obama’s second-term focus; he previously told the media that the Newtown shooting was a “wake-up call”. In the meantime, New York’s bill includes much stricter gun-control measures. The measures redefine the meaning of banned weapons to include semiautomatic pistols and rifles with at least one military-style feature, among other stricter controls.